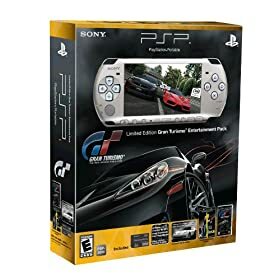 Gran Turismo PSP Entertainment Pack (Limited Edition) available for pre-order now! Sony has just announced its Granturismo PSP EntertainmentPack that will go to retail channels on October 20th for $199.99. Sony talked about the game during its E3 press conference and the first rumors appeared in November of last year. The Granturismo PSP Pack is available for pre-order now for US $ 199.99! You are currently browsing the archives for the Gran Turismo category.